On the banks of the Musi river, the largest and capital city of Andhra Pradesh, Hyderabad (meaning ‘Lion City’), sits proudly like a glittering pearl. In fact, it was historically known as a diamond and pearl trading centre and, today, Hyderabad continues to be known as the City of Pearls. Hyderabad Rajiv Gandhi International Airport was voted best airport in India in 2013. World-class, it features a O2 spa by gate 25 for any last minute pampering! History, culture, architecture and, of course, the best biryani on the planet...welcome to Hyderabad, the city of original grandeur and Persian influence. Check out the most expensive paperweight in the world, the 184-carat Jacob Diamond...well it was used as a paperweight by the seventh Nizam! Explore the Golconda Fort and Qutub Shahi Tombs. Dont forget to visit Chaarminar the icon of Hyderabad and one the most recognised structures of India. Or how about a beautiful boat ride to The Buddha Statue, the world’s largest statue carved from a single block of white granite. Hyderabadi cuisine is an amalgamation of Turkish, Mughlai and Arabic foods influenced by the native Telugu & Marathwada flavours. The subtlety flavoured biryani is probably the most famous of its dishes but Til ke Chatuni with Arabic Tahini is also very popular. Many of the dishes are cooked the ‘dum’ way which is using dough to seal the dish and simmering it over a low flame. Shop for sophisticated, stylish jewellery pieces at the award-winning Suhani Pittie’s store. Quirky and playful but made from pure gold, her pieces will definitely be talking point when you return home. Pearl jewellery feature extensively all over Hyderabad. For those on a budget, visit the city’s oldest market, the Laad Bazaar, which sells lac bangles encrusted with coloured stones, a more affordable option but still just as pretty for those not after the real thing. Hyderabad is also home to the world’s largest film studio, Ramoji Film City, which is built across 1,666 acres of forest land. Guided tours are available to take you around some 500 film sets used in Bollywood and Tollywood films. A tropical wet & dry climate, March to June is generally hot and humid. Between April and June, temperatures tend to reach 40C. The winters are short lasting only between December to January and the coldest it can get is 10C. Telugu, Hyderabadi Urdu or Deccani, Tamil, Marathi, Kannada, Gujarati, Bengali, Malaylam, English . All budgets are catered for in this elegant city. From the budget conscious Novotel & Mercure to the luxurious Taj and Westin, the city has all types of hotels for all types of travellers. For foreigners and first time visitors to Hyderabad, a good area to stay in would be the Banjara Hills which is a busy, touristic area with new shopping malls and restaurants. It can be a bit pricier than other areas such as Srinagar Colony which is close by but cheaper. An almost daily service from the UK to Hyderabad is operated by British Airways. Just under 10 hours and you’re in time for a steaming hot dish of mouth-watering, aromatic Hyderabadi cuisine. Jet Airways, Oman, Emirates & Air India also fly to this city. Book your flight to Hyderabad with Tickets to India and ask about our generous luggage allowances in all classes. Ask our reservations staff for further details now. 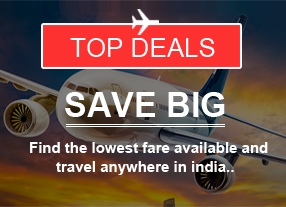 Book your hotel in Hyderabad at the same time as your flights and take advantage of our fantastic flight+hotel deals. We can also arrange your airport transfers and excursions.